Anything Goes gave you the story so far. I Am What I Am reveals more about the man behind the television sensation, focusing on John’s unique approach to life and love. Written with John’s trademark style, the book is filled with juicy tidbits from behind the scenes of Doctor Who and Torchwood, alongside heart-warming family anecdotes and personal revelations, including John’s perspective on fame and how it has affected him. 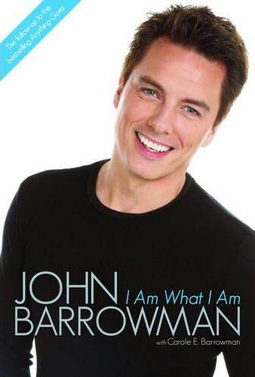 Also containing exclusive details about and opinions on all the top-rating BBC talent shows, such as I’d Do Anything, I Am What I Am allows intimate access to the multi-talented man himself – an unmissable treat for any fan.